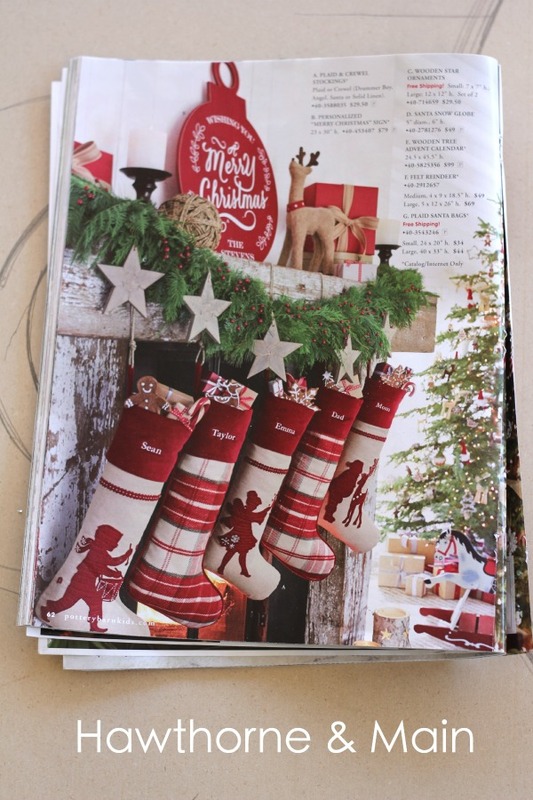 That was the exact feeling I got when I open my Christmas Pottery Barn magazine and saw this mantle. Ideas were swirling though my head and I just knew that I was going to pull it off…..almost….I won’t go into too much detail about my craft fails….lets focus on the positive, shall we!? To see the giant ornament go here, and to see my traditional mantel go here. 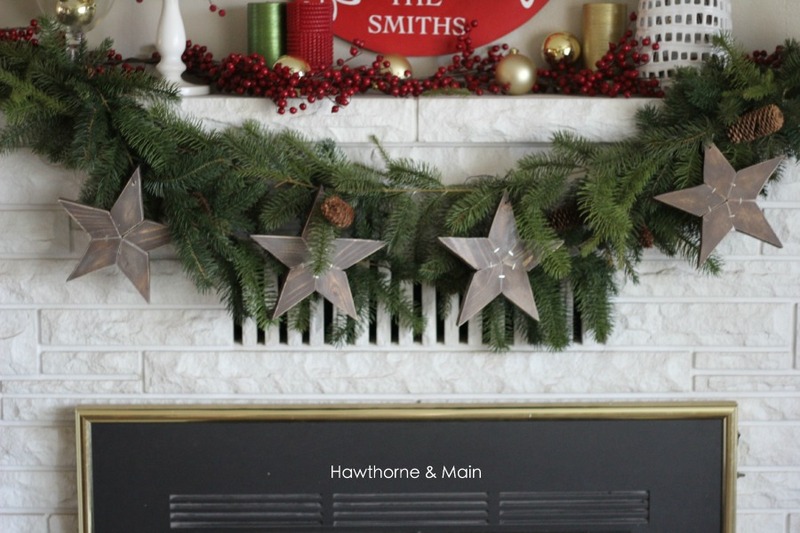 Also check out my plaid christmas home tour. 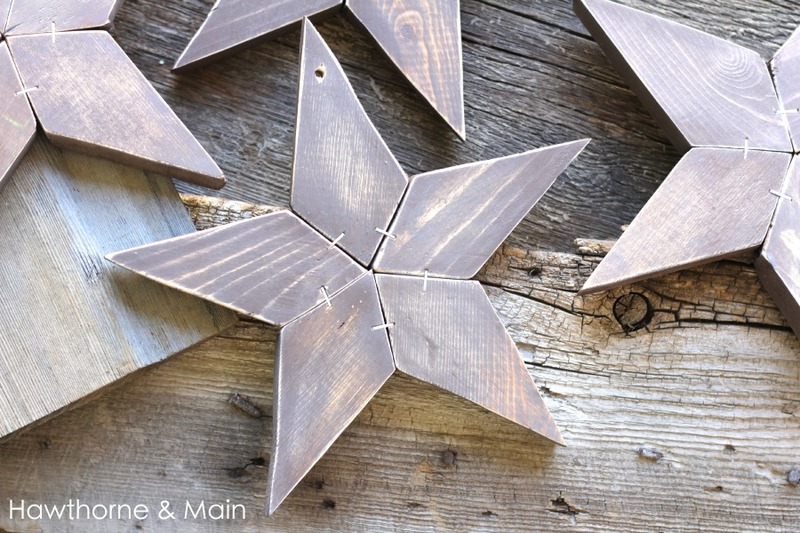 Today I am going to show you how I made these wonderful DIY Wood Stars! These are for real easy! To start print out the star image. Cut out each star point to match the pieces below. Use one of the pieces of paper as a stencil and trace out a bunch of them. Use the scroll saw to cut them all out. Be patient with the saw, especially if you are new to it. It’s not hard but does take a little bit of practice. After they are all cut out use some sand paper to remove the really rough spots. Using gloves apply the wood stain. After the stain has dried take and sand the edges slightly to give them a rustic look. 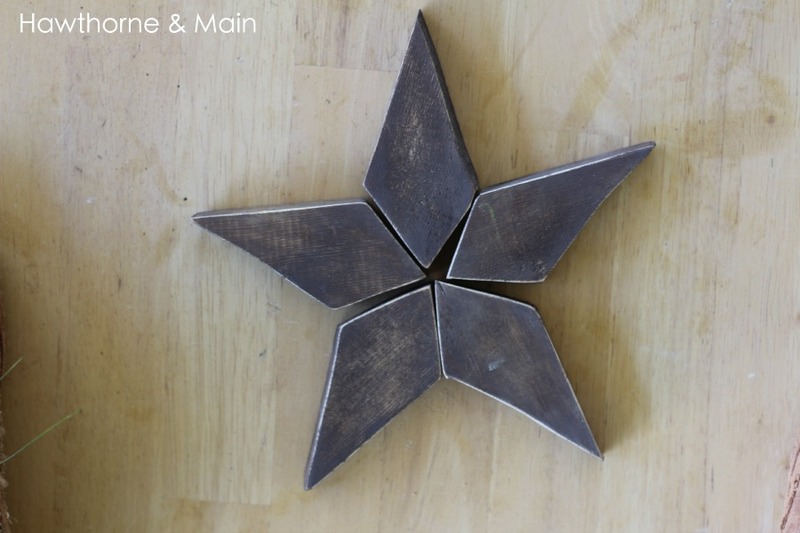 Take the wood glue and glue each star together. Before the glue hardens add staples to both sides of the stars. This helps hold them together. Drill a small hole at the top of one of the points on each star for hanging. 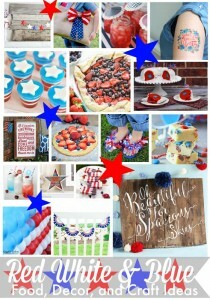 If you decide to make these stars let me know!! I would love to see them. 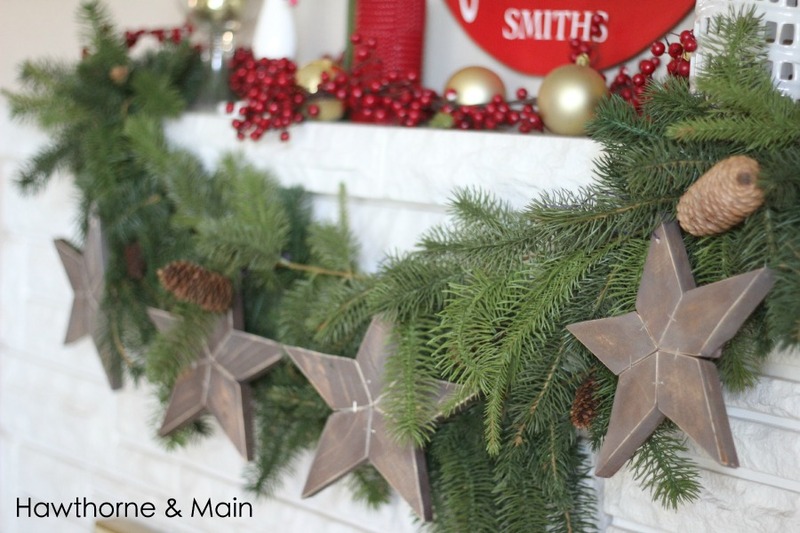 I think these stars would look good year round, not just for the Holidays! 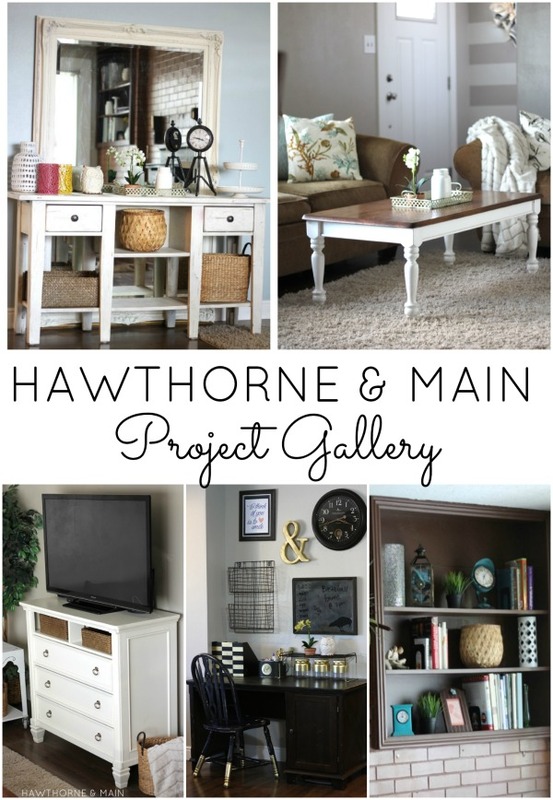 To see more projects check out my gallery wall here, or click the image below! I LOVE these! Any idea on how to pull this off if we don’t own a scroll saw? Good question Kymee. You could try to use a jig saw… but be very careful to watch your fingers. One thing you could do is to use a clamp to clamp the wood to the work bench. This way you would not have to hold the wood in place as you cut and it would be safer. 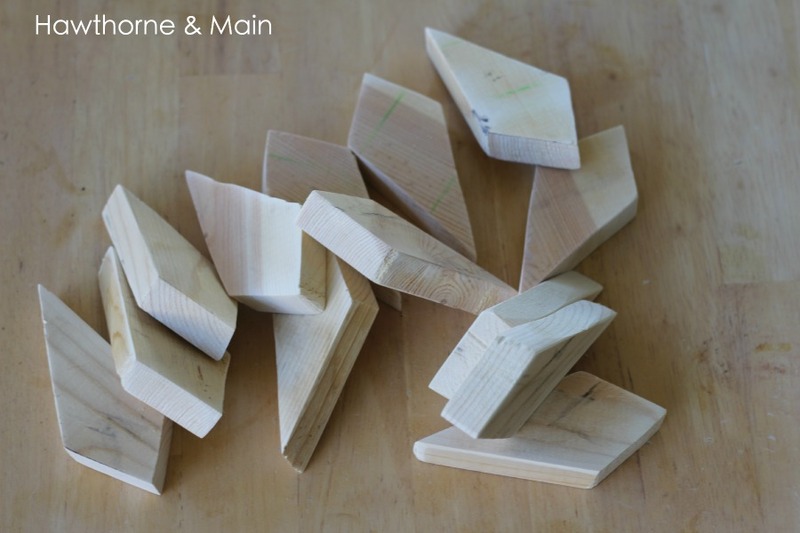 You could also use a chop saw or miter saw….I actually still need to get one of those myself, heres to wishful thinking!! Good luck! I just made 12 of these and used a jigsaw. Clamped to a table so the wood would not move. That way I could use both hands to maneuver the saw. I used a belt sander to sand the edges down some on the front of each piece. Turned out amazing! I’ve yet to stain them and assemble. But am excited for them! Yay! Good idea clamping the wood down, that is definitely the smartest way to do it. If you get them finished tag me in a pic, I would love to see them! Have a great weekend! Hahaha, thanks Sharilee! I really love how they turned out too! This is such a pretty ornament. Goodness I can’t believe Christmas is right around the corner. These would look really nice in sets and you could hang them in pairs. Thanks for the tutorial. That is a really good idea Mary. They really are so easy to make and with some extra creativity you could really make them look awesome! Thanks Tara! They are pretty fun. I actually just got some of my Christmas stuff out today to take an inventory and try to remember what I have. I found these stars and will probably use them again! So cute! 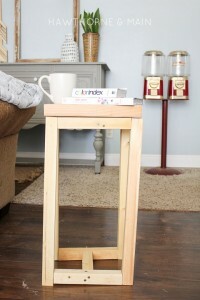 Great way to use up some scrap pieces of wood too! Pinning! I love the stars! I agree, they would be awesome year round. I think I need to make some! Thank you Kati! I totally should have left these out after Christmas last year, but they got packed up with the rest of the stuff. When I found them again this year I had the same thought that they need to be out more than just at Christmas. If you give these a try, let me know. I would love to see a pic! Thank you! These really did come together pretty quick. And, with the added wood glue and staples it is a pretty forgiving project. If you really make some, I would love to see them!! Good luck. I love the stars. I hope to get some made before Christmas! Pinning. Thanks Virginia! So glad you are going to make these!! I seriously love mine! Thanks for pinning! These are so cute. I am going to have to attempt making some. Thanks Charlene! These honestly are not bad to make. Take it slow on the saw and before you know it you will have a bunch of fun new stars! Thanks Anita! It’s nice to meet you! I love these stars and have already used them this year again! Awesome job! You really nailed the look! Thanks for sharing with us at Merry Monday, I’ve pinned and tweeted! I’m pinning these! What a great little project! They are just darling! Thanks Robin! I am really happy with the way that they turned out. Super excited to use them again this year! thanks! I love them too! I am super excited to use them again this year! I am a star nut and I LOVE this! Thanks for providing the star pattern, look forward to getting started! yay! So glad you like it Audra. I love stars too. I hope that you will give these a try. So so so beautiful! I am pinning this one too! Thanks Shonee! Well the first few were a little scary but I sort of got the hang of it. This sounds like to perfect project for hubby!! Hi, Shonee! I know this is an old post, but would you mind sharing which stapler you used? Is it manual or pneumatic? I love these stars, and made a few, but ditched the project because my stapler uses much larger staples, and they didn’t look good. Thankfully I only stapled one so far. Thanks for the great tutorial! Oh no! I am so sad you had to ditch the project…. I used a cheap stapler, I linked to it below. Maybe try gluing them together first and let them get hard, then add the staples. And, if you don’t anticipate these being handled too much you might be able to get away with only adding glue. Hope this helps and I hope you are able to get them done.